At CTU our mission is to prepare you with the tools, skills, techniques and knowledge you will need to survive the treat and be justified in court. Sadly enough one word can be the difference between you defending your life and the court ruling it a hate crime. CTU's crisis training allows you to experience first hand how you will respond to a threat, not just watch videos of others failing to respond correctly. You will be given the opportunity to master your behavioral, psychological and physical responses that will in fact keep you and your loved one alive. Summary: 3 hour training (2 hour classroom + 1 hour range). 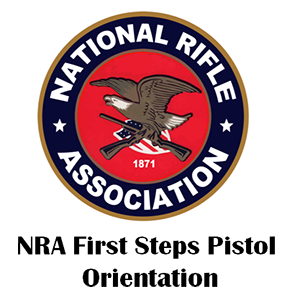 Course Details: The FIRST Steps(Firearms Instruction Responsibility and Safety Training) NRA course is designed to provide a hands-on introduction to the safe handling and proper orientation to one specific pistol action type for classes of four or fewer students. This course is at least three hours long and includes classroom and range time learning to shoot a specific pistol action type. Students will learn the NRA’s rules for safe gun handling; the particular pistol model parts and operation; ammunition; shooting fundamentals; cleaning the pistol; and continued opportunities for skill development. Students will receive the NRA Gun Safety Rules brochure, Winchester/NRA Marksmanship Qualification booklet, FIRST Steps Course completion certificate. Course Details: This is a four-hour course for safe gun handling that is conducted in the classroom only. 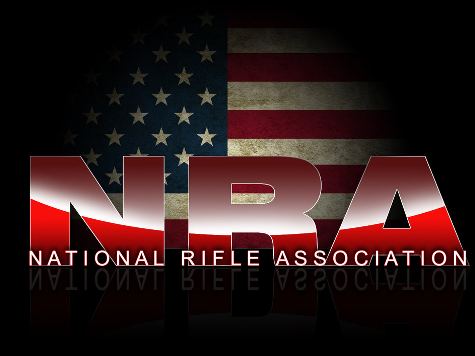 Students are taught NRA’s three rules for safe gun handling; primary causes of firearms accidents; firearm parts; how to unload certain action types; ammunition components; cleaning; care; safe storage of firearms in the home; and the benefits of becoming an active participant in the shooting sports. Students will receive the NRA Home Firearm Safety handbook, NRA Gun Safety Rules brochure, Basic Firearm Training Program brochure, course completion certificate. Summary: 8 hour course (6 hour classroom + 2 hour range time) Learn the basic knowledge, skills, and attitude of owning and operating a pistol safely. Course Details: This 8 hour course includes classroom and range time. Range time will be spent learning to shoot revolvers and semi-automatic pistols. Students learn NRA’s rules for safe gun handling, pistol parts and operation, ammunition, shooting fundamentals, range rules, shooting from the bench rest position, and two handed standing positions, cleaning the pistol, and continued opportunities for skill development. Students will receive the NRA Guide to the Basics of Pistol Shooting handbook, NRA Gun Safety Rules brochure, Winchester/NRA Marksmanship Qualification booklet, take a Basics of Pistol Shooting Student Examination, and course completion certificate. Summary: 8 hours (5 hours of classroom & 3 hours of range time). Students will learn the basic knowledge, skills, and attitude essential to the safe and efficient use of a handgun for protection of self and family. Students will also learn the laws pertaining to a law-abiding citizen's right to self-defense. Course Details: This is an eight-hour course. Students should expect to shoot approximately 100 rounds of ammunition. Students will learn basic defensive shooting skills, strategies for home safety and responding to a violent confrontation, firearms and the law, how to choose a handgun for self-defense, and continued opportunities for skill development. Students will receive the NRA Guide to the Basics of Personal Protection In The Home handbook, NRA Gun Safety Rules brochure, the Winchester/NRA Marksmanship Qualification booklet, and course completion certificate. NOTE: 'Protection Outside the Home' is a two part course, "Basics" & "Advanced"
Summary: Comprehensive and intensive in its approach to equip the defensive shooting candidate with the skills needed to survive serious adversity. Course Details: The NRA Personal Protection Outside the Home is divided into two levels (basic and advanced). Level one instructs students in the essential knowledge and skills that must be mastered in order to carry, store, and use a firearm safely and effectively for personal protection outside the home. Upon completion of level one, students may choose to attend level two. Level two, is an additional five hours of range training that teaches advanced shooting skills. After the classroom portion, students should expect to spend several hours on the range and shoot approximately 100 rounds of ammunition during level one and approximately 115 rounds in level two. 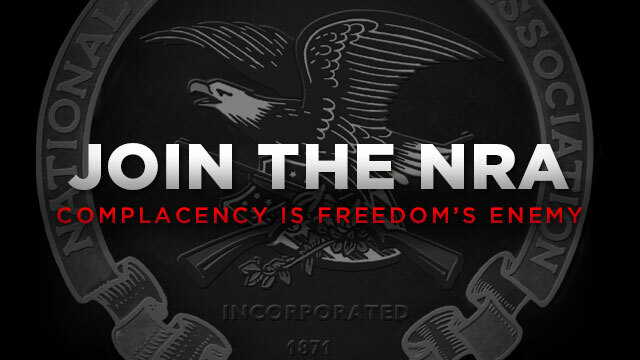 These ammunition requirements are the minimum and may be exceeded.